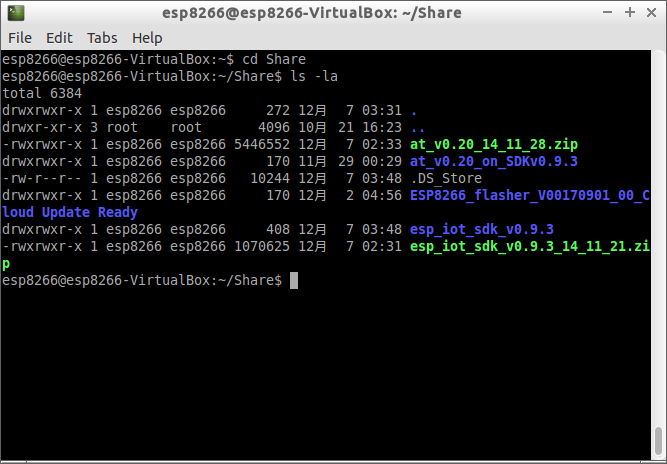 Espressif have packaged the GCC-based toolchain for ESP8266 as a VirtualBox appliance running lubuntu which makes it super easy to get started with compiling your own firmware for the module. The problem with this script is that all files in that shared folder will be owned by root:root and the compiler running as user esp8266 will fail to create new files and include the necessary libraries. I am not sure if this is an issue only when running OS X as the VirtualBox host.